17 Fenced Acres of gorgeous, rolling hills & views is the perfect place to call home! This 3 bedroom, 3 bath, brick home features updated kitchen & baths. Finished basement offers den with fireplace, full bath & great storage. Covered back deck allows peaceful views of 18x36 in-ground pool, barn, outbuildings, riding ring & pond. Share the land with horses, deer & wild geese. Fish in your own 1/2 acre stocked pond. Fully outfitted barn includes 7 stalls (one birthing stall), tack room, wash pit & 1/2 bath. Front bldg (poured concrete floor w/power) is zoned retail & could make a great apartment. 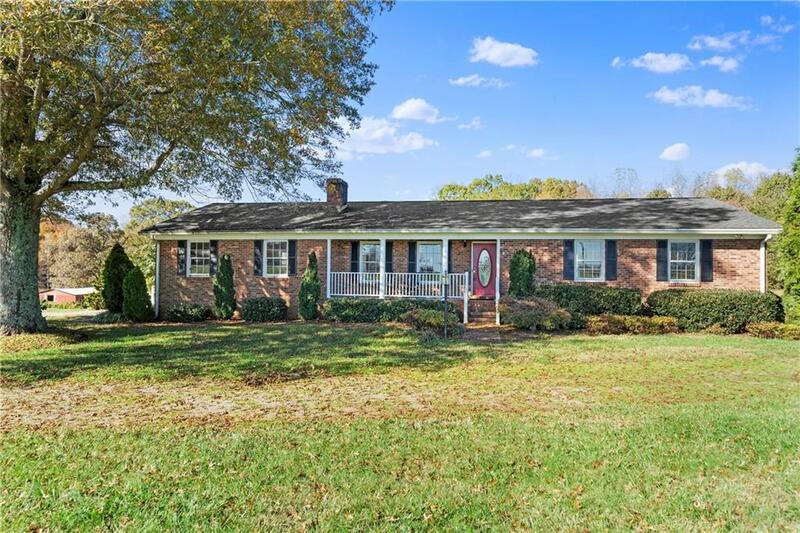 Excellent location just 4 miles off 321 allows quick & easy access to Charlotte or Hickory. Sellers are related to listing agent.